MARCH 16, 1968 and 35 years later, My Lai is still one of most gruesome acts committed by the U.S. Army during the Vietnam War. 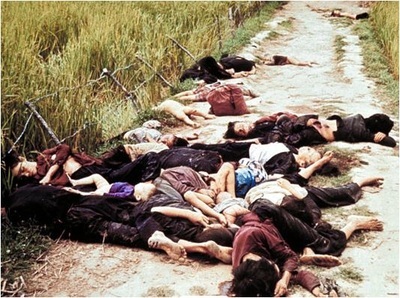 That day in 1968, the Army's Charlie Company murdered 347 unarmed men, women and children in the Vietnamese village of My Lai. The event was later described by a member of Charlie Company as "a Nazi-like thing." For many people in the U.S. and around the world, My Lai "ripped the mask off the war". 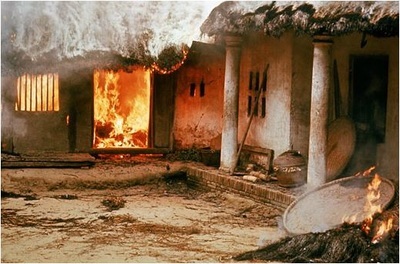 The massacre took place in the hamlets of Mỹ Lai and My Khe of Sơn Mỹ village during the Vietnam War. 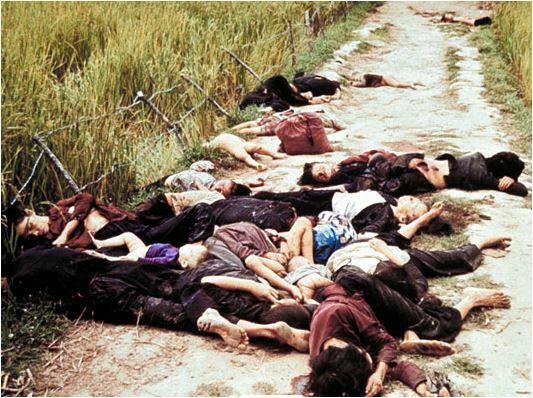 While 26 US soldiers were initially charged with criminal offenses for their actions at My Lai, only William Calley was convicted of killing 22 villagers. Originally given a life sentence, he served three and a half years under house arrest. When the incident became public knowledge in 1969, it prompted widespread outrage around the world. 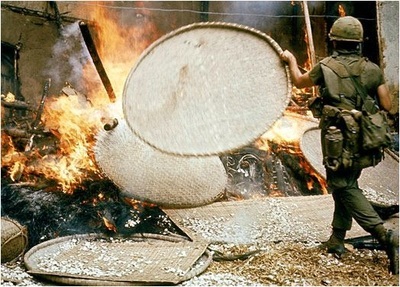 The massacre also increased domestic opposition to the US involvement in the Vietnam War. 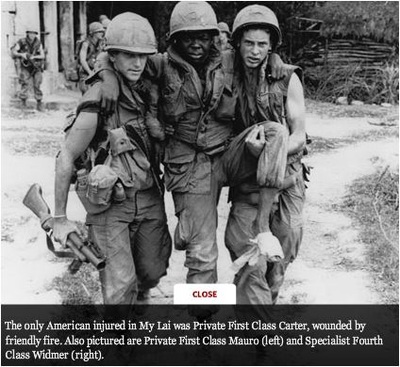 Three US servicemen who made an effort to halt the massacre and protect the wounded were later denounced by US Congressmen. They received hate mail, death threats and found mutilated animals on their doorsteps. It would take 30 years before they were honored for their efforts. 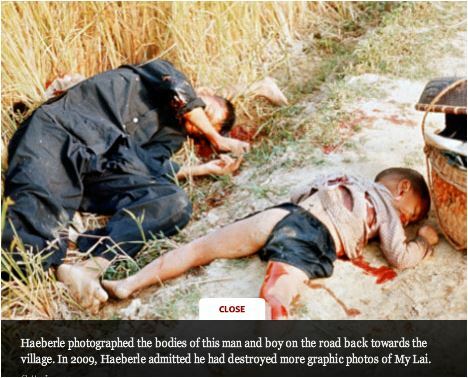 The massacre is also known as the 'Sơn Mỹ Massacre' (Vietnamese: thảm sát Sơn Mỹ) or sometimes as the 'Song My Massacre.' The US military codeword for the hamlet was Pinkville. We know it was a bad war, but that is the point isn't it. 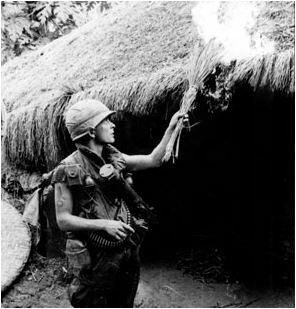 War is always ugly!